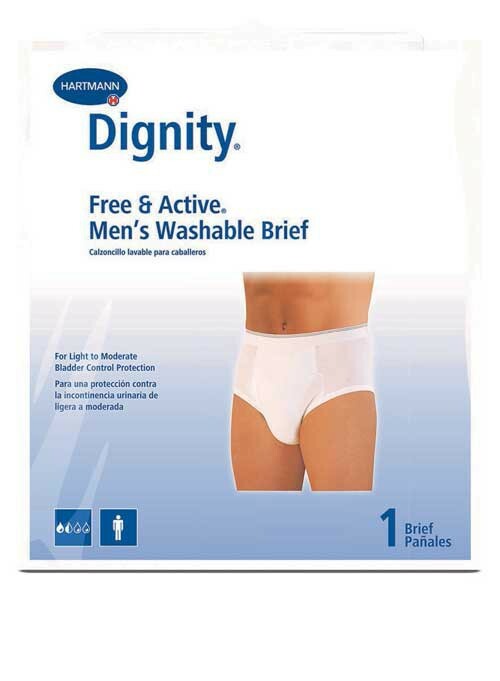 Free & Active Briefs are a premium brief with the look and feel of regular men's underwear. The center of the garment has sewn-in multilayered, extra absorbent padding that is covered by a stay-dry lining to provide reliable protection from releases of fluid. A pad may be inserted if additional absorbency is needed. Absorbent pad width helps to contain leakage.